Lagos State government yesterday said that from January 1st 2014, it would commence enforcement on all commercial bus owners, drivers and conductors who are yet to comply with the re-accreditation exercise in the state. Speaking on the second phase of Lagos Traffic Law, Opeifa, said, focus would be on improving the availability of, safety, security and the quality of service delivery of public transportation in the state. He said: 'This new system includes: the re-introduction of commuter bus routing scheme, commercial passenger vehicle licensing, corporate outlook for transport operators -use of uniform and badges and the implementation of passengers insurance for commercial passenger vehicles in Lagos state'. According to him, from January 1st 2014 which is the commencement date, all commercial bus owners, drivers and conductors are to visit any of the 21 zonal offices of the Vehicles Inspection Services, VIS, nearest to them for accreditation and documentation free of charge. The process, he explained, involves the physical examination of vehicles and particulars to ascertain its road worthiness status. Opeifa, however, solicited the support and co-operation of all stakeholders to ensure the success of the programme designed to further restore and reposition the sector for better productivity, service delivery and improved quality of life in the state. Also commenting on the 13th National Council on Transportation, Opeifa said Lagos agreed to host the event in order to ensure adequate transport system in the state, identify opportunities within transport sector of the economy and promote various modes of transportation. According to him, the NCT would be in two sessions, comprising of the technical session and the national council meeting. 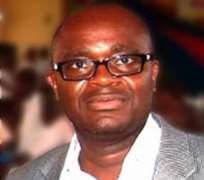 Opeifa said the technical session would be led by the Permanent Secretary, Federal Ministry of Transport, Engr. Nebolisa Emordi which will focus on briefs from the states and federal agencies on the state of implementation of decisions taken at the 12th National Council Meeting held in Markurdi. The Council, which comprises of all the commissioners for Transportion from all the states in Nigeria including the Federal Capital Territory, Abuja, will be chaired by the Minister for Transportation, Senator Idris Audu Umar and Governor Babatunde Fashola is expected to be the chief host at the event to be held at the City Hall and Civic Centre respectively. 'The second fold of the National Council on Transportation is the meeting which will be declared open by Governor Fashola on Thursday, 14th November 2013 at the Civic Centre in Victoria Island. The Council meeting which will be chaired by the Minister for Transportation, Senator Idris Audu Umar, will focus on various issues such as: presentation of the report of the Technical session that will be delivered by the Permanent Secretary, Federal Ministry of Transport, Engr. Nebolisa Emordi.